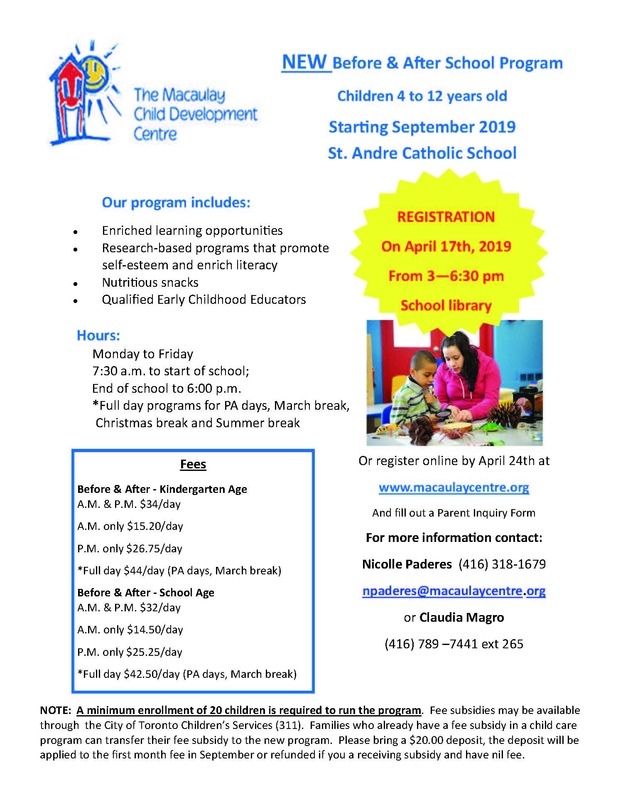 Macaulay is holding registration for a new Before and After program at St. André Catholic School on April 17th between 3 pm and 6:30 pm. This is an important step for us as we discern if there is enough interest in the program. The school is located in the Jane St. and Wilson Ave. area. See the flyer for all the pertinent details and feel free to call for more information. You can also visit our “Looking for Childcare?” page on our website to complete a parent inquiry form for any of our child care centres or home child care locations.